You must make reservations at least 5 minutes in advance of the time at La Fiamma Italian Restaurant and Bar. Near Harrison Station Path train. Live Piano Player on Friday and Saturday night! A Commitment to excellence has always been our guide in providing our guests with La Fiamma’s unique dishes in a relaxed, enjoyable atmosphere. 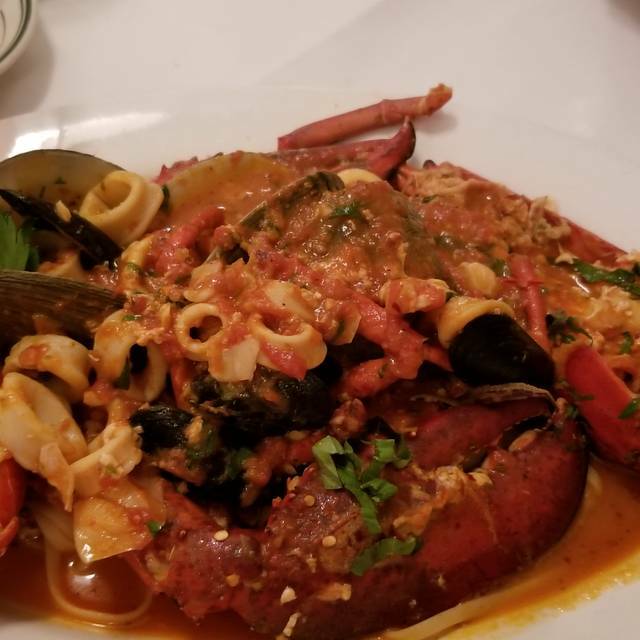 Our fine regional Italian cuisine and local culinary awards speak for themselves, but our greatest reward is making your visit a memorable delight. 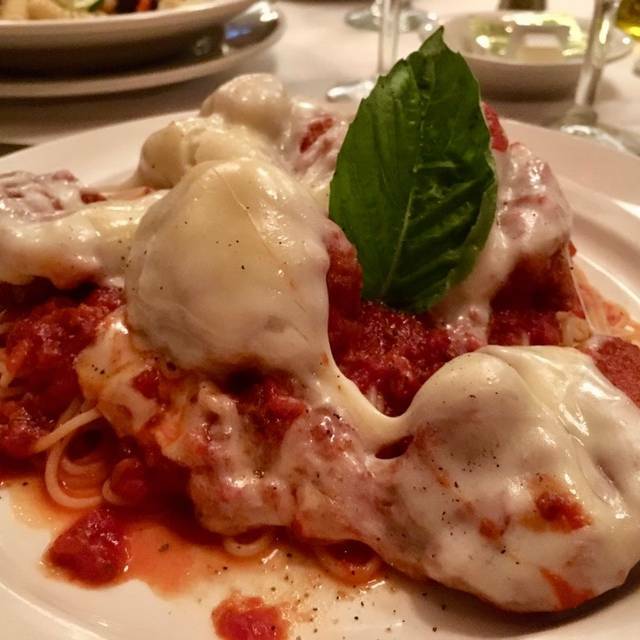 At La Fiamma Italian Restaurant and Bar, we have one goal in mind for you… Dining at its finest. Quaint bar/restaurant with good food and attentive service. 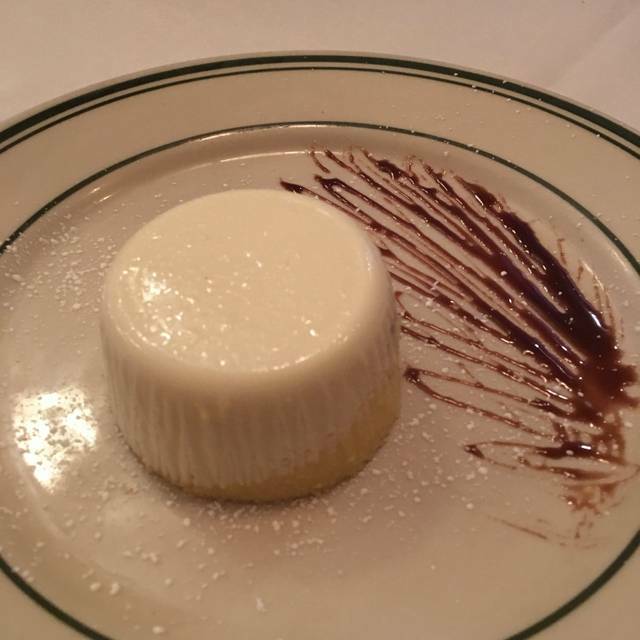 I visited La Fiamma with my granddaughters and I enjoyed it so much that I had to go back with my husband. 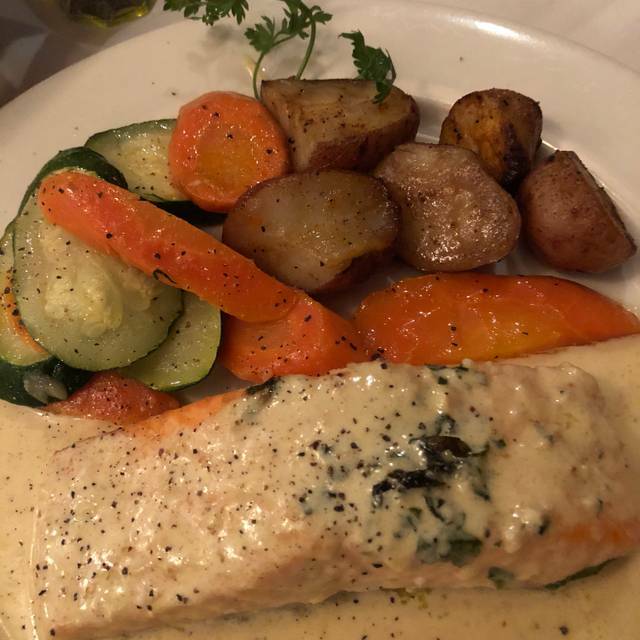 The food is delicious - I really l liked their veal with artichokes and my husband said the veal saltimbocca was the best he ever had. All entrees and specials were reasonably priced, the atmosphere was cozy and the service was top-notch. What more could you ask for? We'll be back! The food is amazing as is the staff! Wonderful experience!! Always great food and service. A neighborhood gem which I visit often. Never opened the menu, the specials are always the way to go. We were there for Valentine’s Day dinner and we’re really pleasantly surprised. The food was great. The maitre’d was very welcoming, and service was good. When we arrive our table was ready. Would definitely go back. Lovely staff and delicious food! A most enjoyable lunch with 2 other couples. Ramone made sure we were happy with everything. His service was outstanding!! The food was excellent. Three of us had the special lobster tail and shrimp scampi and all agree it was delicious. Two of us had the shrimp scampi...just as delicious. We had a lot of wine so I don't remember what the 6th person had lol but there were no complaints. Looking forward to dining there again! Nice, cozy restaurant in Harrison, NJ. Great service and a well-stocked bar to go along with a satisfying meal. WOW! What a delightful surprise to find this restaurant. It is tucked in a neighborhood in Harrison, NJ. Well worth taking a short drive to dine here. It is close to anyone staying at the hotels near Newark Airport. 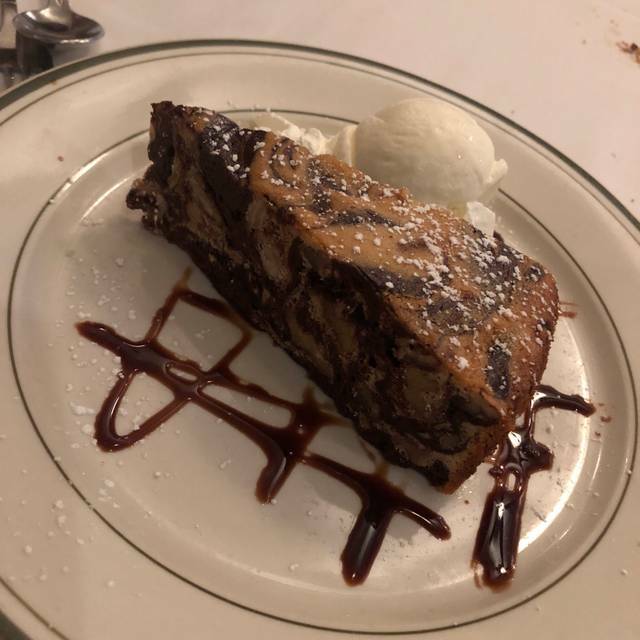 Home made gnocchis were yummy, eggplant rollatini hit the spot, home made desserts make for a nice ending to your meal. We had the lovely raspberry and blackberry filled panna cotta. Also, perfect for anyone who is a vegetarian. Lots of options besides a salad. Feel, friendly and attentive wait staff, especially Angelo make for a wonderful and relaxing experience. What a gem! Incredibly friendly staff - fantastic food. Delicious home made desserts. An overall fantastic meal! 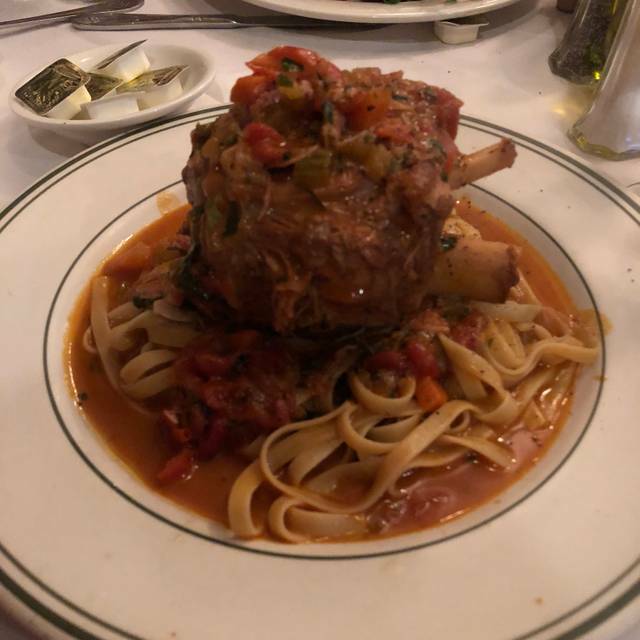 Can’t wait to go back - for those headed there for the first time the stuffed veal chop was off the charts, as was the tuna piccata special, the shrimp w marinara appetizer delicious!!! I cannot say enough good things about this place. Excellent food and service. Will definately be back if in the area again. Great hidden gem in Harrison. Been in business for a while. Classic Italian. Specials are great. Price is very reasonable. Cozy. Staff is very attentive. Wine list is pretty good. Parking in the back or street. Great food and great negroni! Ramon was an excellent waiter and Jessica worked well with him. First time here and we will definitely go back...food was excellent and priced well!! Angelo and Galo gave us impeccable service. Relaxed environment and the best authentic Italian cuisine we have had. We will be back! Quiet 'old school' Italian - the service was fantastic. My 'ribeye' was cooked to perfection. My 3 friends had the nights special- Chicken, rolled with spinach cheese - they raved about it. We'll be back. Food and service are excellent. Angelo and Ramone took great care of us. My wife asked for something not on the menu, and it was no problem for them to make it for her. The next time we are in Harrison we will be sure to stop by. The restaurant is small with a cozy atmosphere. The food is delicious. I definitely want to come back! Great authentic Italian eatery in the old neighborhood. Great service- waiters have a lot of personality!! Second time here, second time in New Jersey. 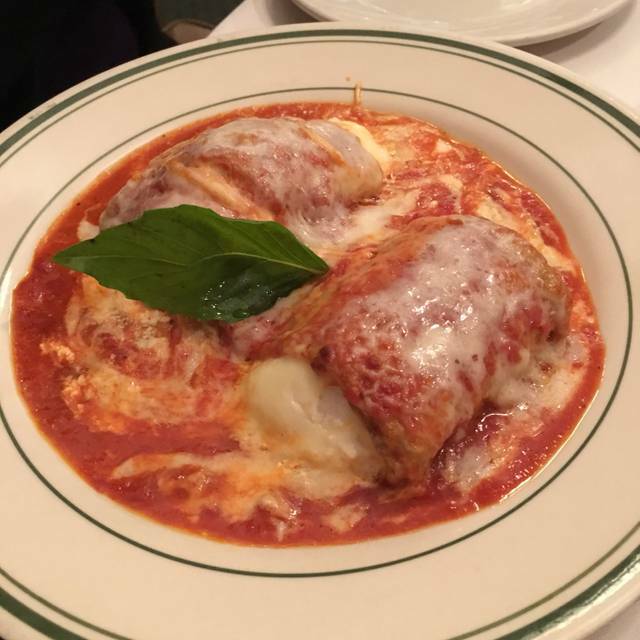 If we lived near, THIS would be our favorite Italian restaurant. Salads and soups were all hits. Specials change up and the fish didn’t disappoint. Wine selections were spot on. My girlfriend & I wanted to leave town to try out a new place. After deciding we wanted to do Italian, we chose to go here. We were very pleased with our decision. The staff couldn’t be more friendly & inviting. The service was outstanding and the food was delicious. We will definitely be back. great little restaurant. Very pleasant staff. Good food, no rush and good value for the money. Also had parking in adjacent lot. Our first visit but not our last. Great little dining spot with very good authentic Italian food. Unpretentious surroundings, friendly efficient service, good food and drinks at a reasonable price. A great alternative to the Spanish//Portuguese restaurants in the area. And they have a parking lot. Very hidden gem! Outstanding service & food. Mixed bag - breaded clams were good, chicken scarpariello was in a white sauce, odd...shimp scampi was OK, eggplant rollatini appetizer good. Service was spotty...dessert good. High hopes - not met! 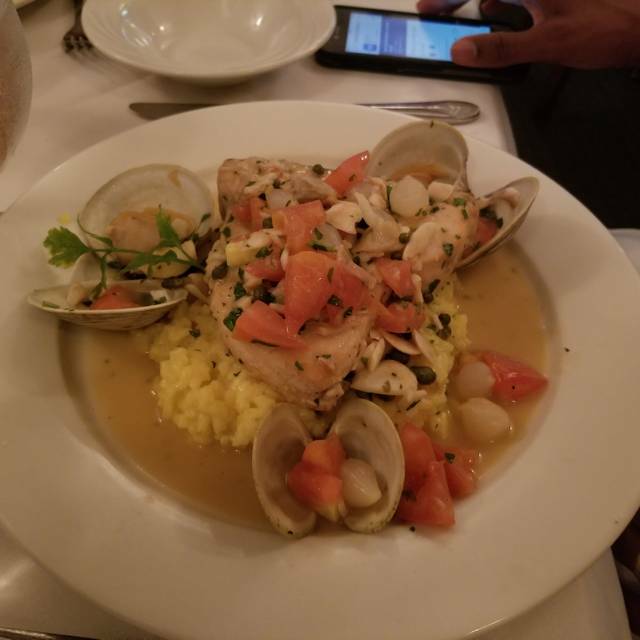 We had dinner with friends on Thursday night at La Fiamma and had an excellent meal. The service was very professional and the servers very friendly. The bruschetta, salads and appetizers were delicious. Our entrees of salmon livornese, cod and shrimp with linguini were fabulous. The homemade desserts of ricotta cheesecake and tiramisu were enjoyed by us all. We look forward to a return visit. This is a true gem. Authentic Italian with the feel of passion from the staff. The food is brilliantly prepared and the service is naturally spot on. You know when staff has been trained to take care of you but here they take care of you naturally. There is nothing fake about this restaurant. Purely authentic. All for a reasonable price. Every person from the manager/ host to our waiters are so pleasant , and go out of their way to accommodate our preferences. I look forward to this restaurant every time I am in the Newark area! 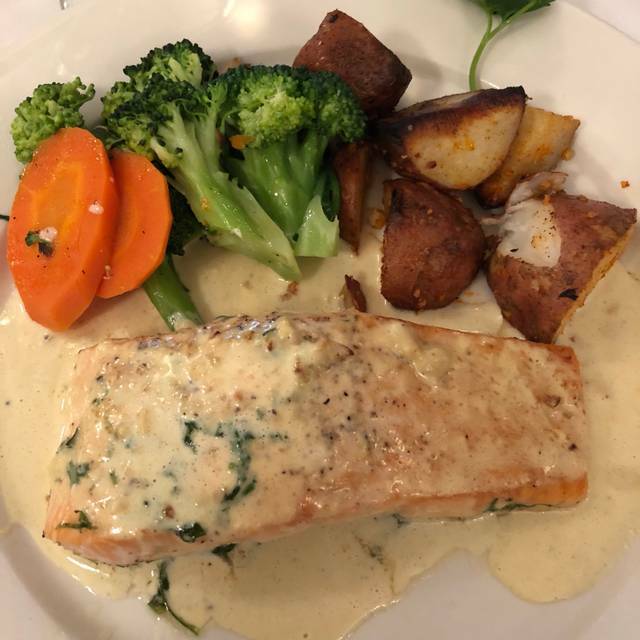 Take yourself out for great food and fabulous service! A treat to remember!! !